To renew your membership for the period April 1, 2019 – March 31, 2020 go to the Membership Renewal Page. Membership is open to women who support the purposes of our Club, and is no longer limited to university graduates. Our membership of over 250 women includes graduates of universities worldwide as well as women who are involved in a variety of pursuits. The membership year runs April 1 – March 31. 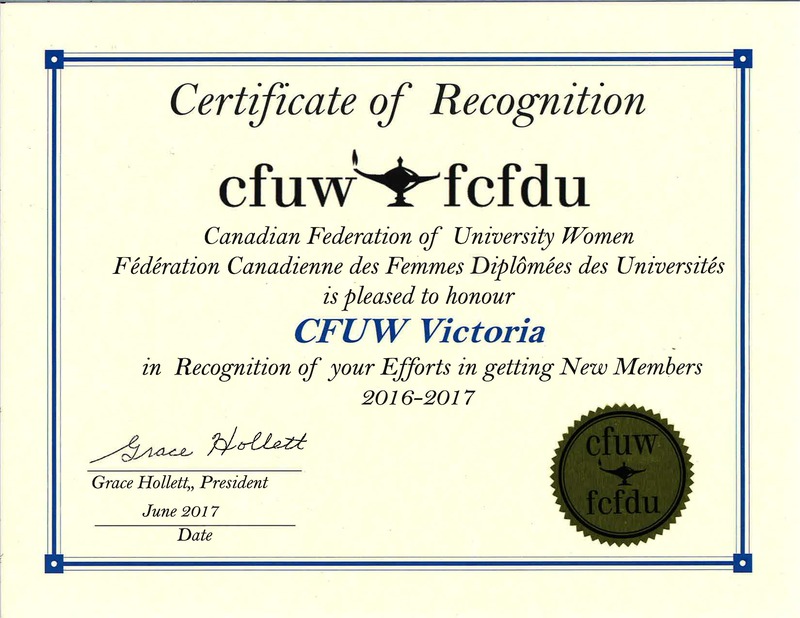 Dues support the operation of the club and CFUW Victoria’s Scholarship and Bursary Society, as well as the CFUW National and the GWI (Graduate Women International). for our Efforts in getting New Members. Club members meet monthly; usually on the third Wednesday evening of the month. Guest speakers reflect a wide range of interests. Your next step is to Become a Member by registering online. If you have any questions, please feel free to contact us at membership@cfuwvictoria.ca.